The Chief Coordinator of Operation Wealth Creation General Caleb Akandwanaho has called for a review of the program in order to make it more significant for the country. The program, which runs under the National Agricultural Advisory Services (NAADS), is used for community mobilization, distribution of agricultural inputs, and facilitation of agricultural production chains across the country. 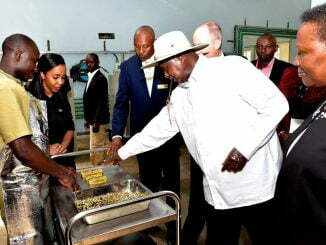 It’s implemented by the Uganda People’s Defence Forces (UPDF), as one of the strategies to eradicate poverty and facilitate the growth of household income through agriculture. 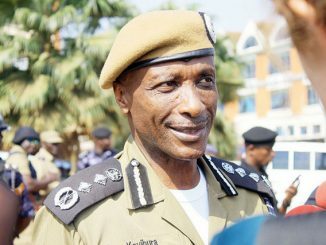 General Akandwanaho also known as Salim Saleh says that although Operation Wealth Creation has registered tremendous success in enabling subsistence farmers to access agricultural inputs, value addition and mechanization, it still faces operational challenges and policy gaps. Saleh listed 25 challenges, among them, delivery of low quality of inputs, late delivery of inputs and delivery to wrong agro-ecological zones, land degradation and fragmentation, weak farmer groups, and inflation which is greatly affecting the price of inputs. 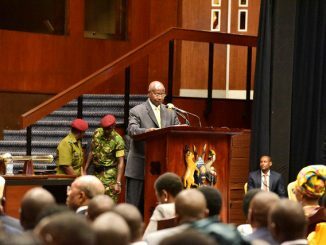 Gen Saleh called for the implementation of the regional logistics hub and the e-voucher card system as key steps that should be taken to refresh the program. Under the e-voucher system, allocations to farmers are made through an online system, age use tokens to pick farm inputs from logistical hubs or approved suppliers within their regions. Saleh hopes that the system will minimize delivery of low quality and quantity inputs, control price fluctuations, eliminate ghost suppliers, and stop selective distribution of inputs. 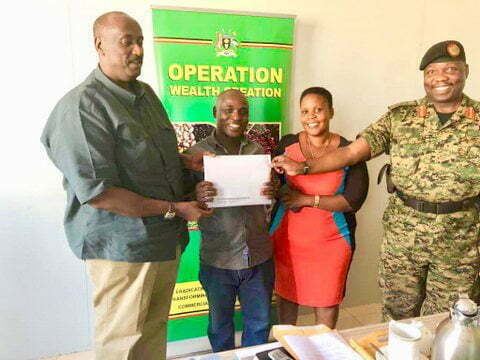 This was in a presentation read by John Wekesa Wambogo, the Director of Information, Communication and Technology – Operation Wealth Creation to a group of Bunyoro Community Development Strategic Leaders who met Saleh at Namunkekera Industrial Centre. Saleh also wants OWC to adopt a new administrative structure that is responsive to the needs and tasks of its second phase which is focusing more on market linkages of farm produce and products. In the recommended administrative structure, enterprise coordinators will be deployed at every regional hub and will coordinate activities of e-voucher card system. Operation Wealth Creation has also deployed liaison officers across 25 government agencies. Major Tabaro Kiconco, the Public Relations Officer of Operation Wealth Creation explains that the recommendations are part of the new industrial model which they intend to implement in phase two of the programme. Tabaro adds that they hope that the implementation of the recommendations will improve the performance of the programme. Kabakumba Matsiko, the director of Bunyoro Community Development Strategic Leaders Forum said that a survey done in her area indicated that people were taking inputs even when they don’t intend to plant them and hopes the phase two will address the challenge. However, the recommendations have been received with mixed reactions in Luweero and Nakaseke districts. James Makande, the Chairperson of Kasangombe Sub County in Nakaseke district faults OWC coordinators for ignoring area leaders in the planning and distribution of inputs. Makande hopes that the recommendations will address the challenges of delivering inputs to wrong agro-ecological zones. Samuel Mukasa a farmer in Butuntumula Sub County fears the e-voucher card system may create bureaucracy.